Umesh Kulkarni’s much-awaited film Highway has now been shifted to 28th August 2015. 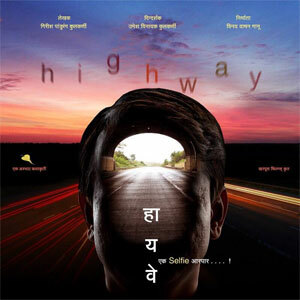 Produced by Vinay Vaman Ganu and co-produced by Arbhaat films, Highway – Ek Selfie Aarpar is a journey of self-discovery and doesn’t have one or two, but 30 lead actors, including Huma Qureshi, Tisca Chopra, Girish Kulkarni, Renuka Shahane, Mukta Barve, Sunil Barve, Kishore Kadam, Nagraj Manjule to name a few. The film is written by National Award winning writer-actor Girish Kulkarni and the music is given by the acclaimed music director Amit Trivedi. Other credits include Editor: Paresh Kamdar, Director of Photography: Sudhakar Yakkanti Reddy, Executive Producer: Nitin Prakash Vaidya. With so many National Award winners behind the film, we look forward to the amount of hearts it would win this time around. 15 queries in 0.366 seconds.